Whether you have experienced a flood, burst water heater, or plumbing failure, we are always here for you as your local water restoration Newport Beach service. Our on call water restoration manager in Newport Beach will respond to your call 24 hours a day – 7 days a week. 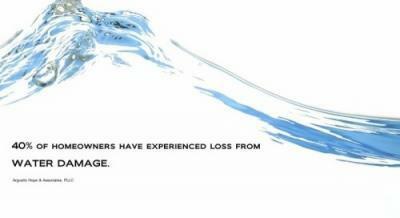 Our water restoration technicians can arrive within the hour to help meet your needs. Our technicians are educated and certified in the latest and most advanced technology for drying and are available to answer any further questions you might have. As your normal routine has been disrupted be assured that we will do everything possible to return your property to a pre-loss condition as quickly as possible. Some of the scope of our work covers flood water removal, water damage restoration, structural drying, and professional water damage assessments. We start by assessing all affected areas using our Thermal Cameras and Moisture Meters to evaluate the extent of water damage. After receiving your authorization we promptly extract the water saving as many of your contents as possible. Standing water can seep up walls and damage furniture and flooring if left for extended periods of time. We will extract standing water immediately and will use a weight assisted extractor for carpet and padding. We set up state of the art drying equipment in all affected areas. Walls, ceilings, and floors will dry promptly with our industrial air movers and dehumidifiers. This step is extremely important as it draws moisture out of walls and hidden areas reducing the chances of mold growth. This equipment will typically run for three days unless otherwise advised by project manager. Our certified water restoration manager will use moister meters daily to monitor and document the drying progress of the structure. Monitoring the drying process is crucial to communicate that the building is drying properly and that there are no overlooked issues. TLC Carpet Care proudly serves Castle Rock and all of Douglas County.